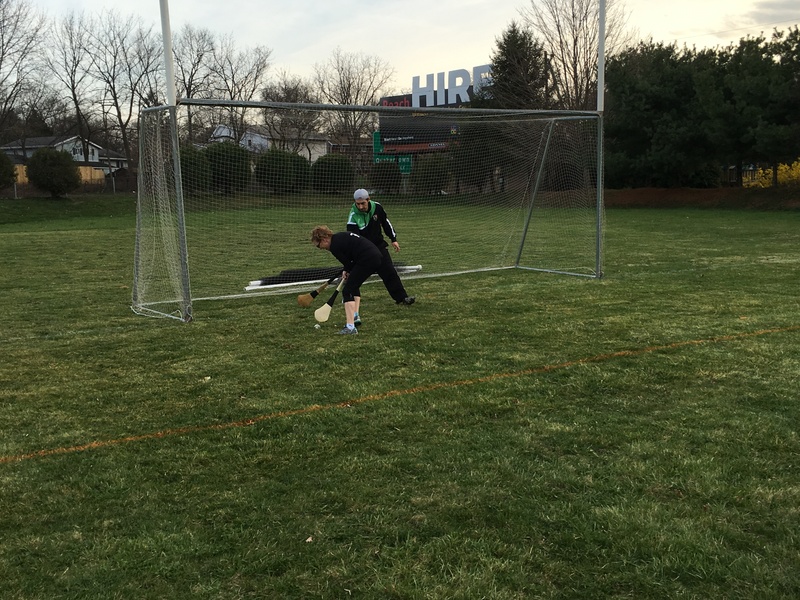 Last Thursday I took a ride over to check out a free clinic and practice put on by the Allentown Hibernian Hurling Club. I got there and luckily there were two other students with familiar faces! 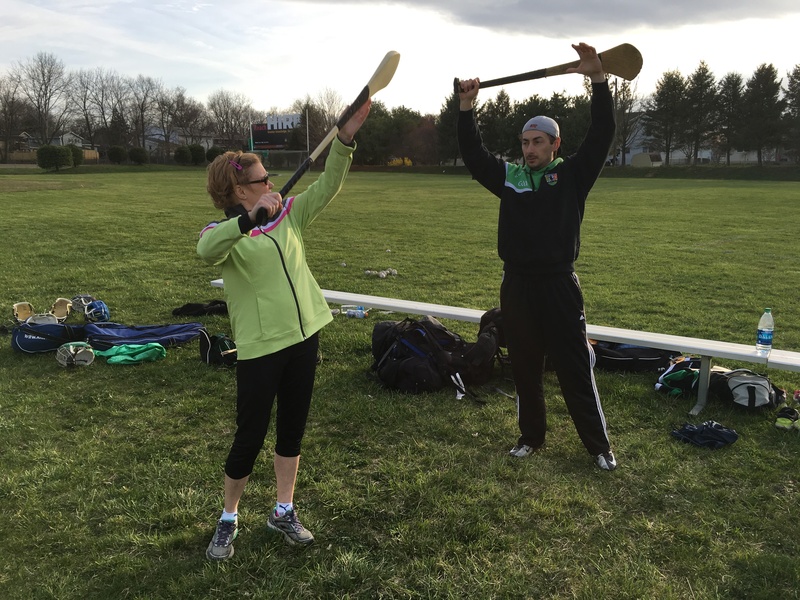 Lehigh Valley Rollergirl’s own Cagey Rage learning how to properly swing her hurl. 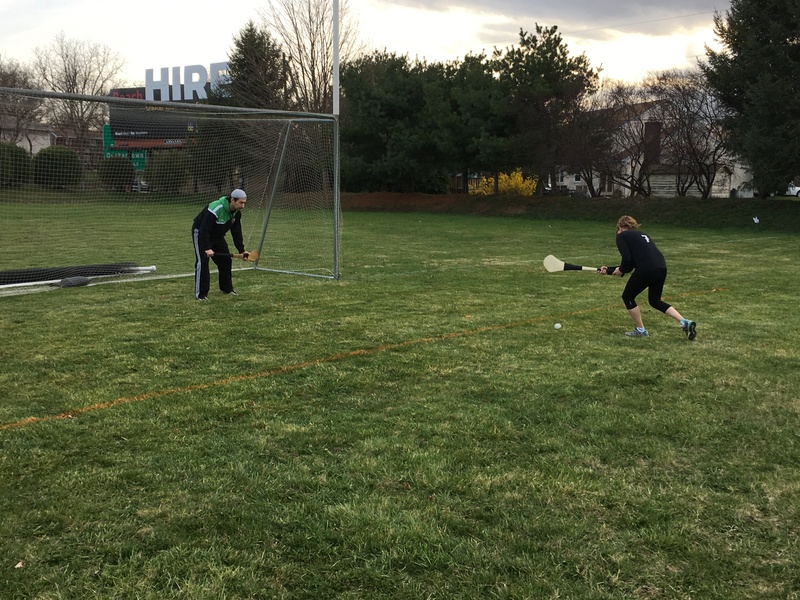 The lesson started off with some basics led by Dave and Jessica who guided us on terminology, rules, use of the hurl (the stick) the Sliotar (pronounced “slidder”) and then got Cagey and Minerva suited up to participate in a live scrimmage! 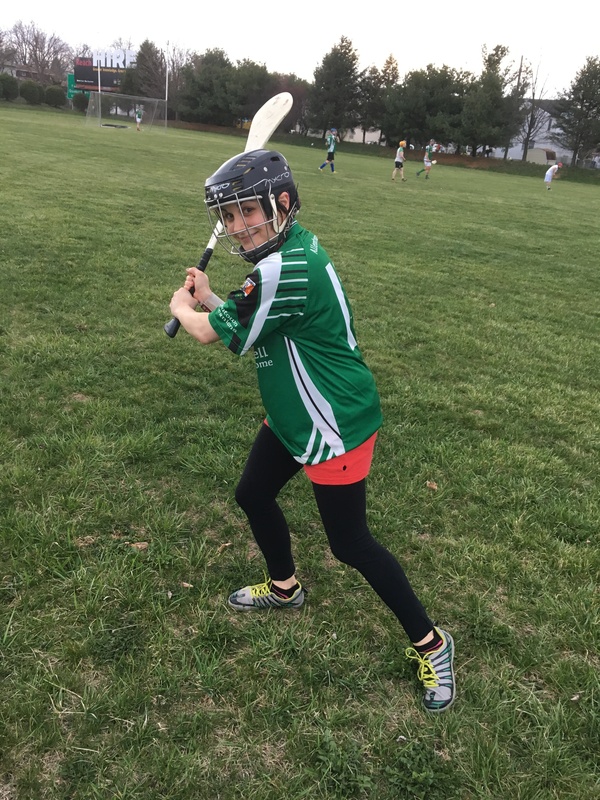 LVRG’s Minerva Steel was also suited up and ready for some Hurling action! It was pretty fun and real exciting! This is a fast paced and unique sport. Worth the effort to check out as they are giving these free clinics all April! They provide the instruction and the gear, you just show up. For more information on the free clinic, check out their Facebook page. 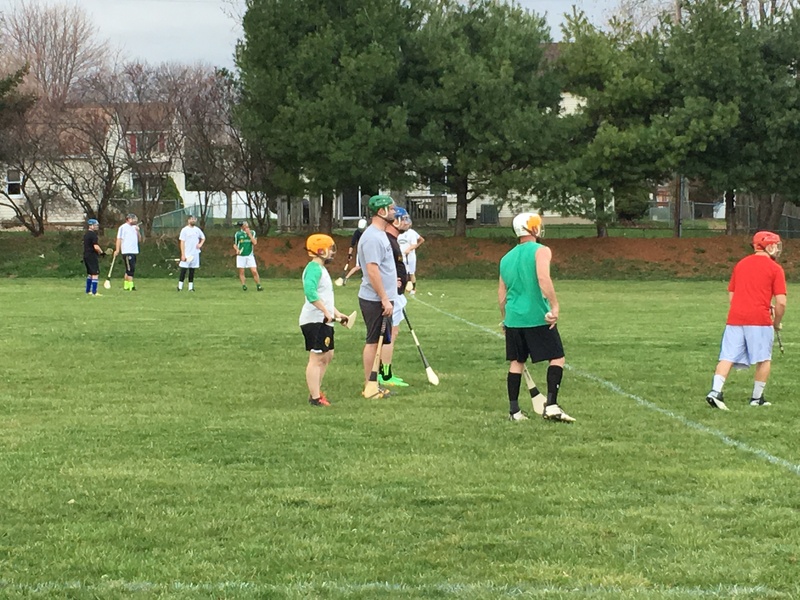 What to bring: All equipment provided, wear sports appropriate clothes and footwear.